Friend: Hi, Niles Krieger, I understand you are from America and play American music. Niles Krieger: Why, yes, I am from America and I do play American music. Friend: Do you have any suggestions for bands I should listen to to broaden my appreciation of Americana? Niles Krieger: Well, what have been listening to thus far? Friend: I have been listening to Mobjack on Spotify. Have you heard of them? Niles Krieger: Indeed, I actually played on their first album. Look no further, Friend. And so it was that Niles discovered Mobjack’s first admitted international fan. The odds of him bumping into this person are astronomically low: fate? 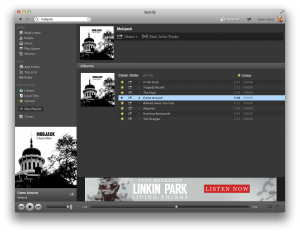 Check out Mobjack on Spotify and get your fix too! Mobjack continues work on their follow album. The tracking process has gone very well thus far and we’re looking forward to mixing it up. Stay tuned!